Leading Manufacturer of bopp cattle feed bags, animal feed bag, cattle feed laminated bags, poultry feed bags, bopp bags for cattle feed and cattle feed bags from Nagpur. 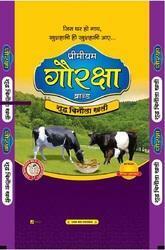 We are the noticeable association of this area occupied with offering a wide range of Cattle Feed Laminated Bags. These bags are made accessible in an assortment of sizes. The offered bags are produced agreement to set industry standards that assistance in keeping the steers nourishment things crisp for a more drawn out period. Solid cover, straightforward, and custom thickness are the real determinations of the bags. At our assembling unit, our experts use propelled innovations and systems for creating the food bags for the cows. 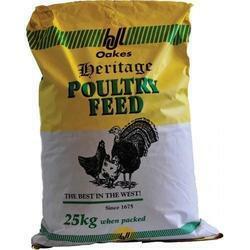 Our firm specializes in providing our prestigious clients a quality assured array of Poultry Feed Bags that is manufactured using excellent quality raw material and ultra modern technology.